their voices heard and a tool for them to stay informed. mentation, Price says that she slept through the night and didn’t wake up until her alarm went off at 7 a.m. “I couldn’t tell you the amount of relief I had. Getting a full night’s sleep when you’re struggling with anxiety and mental health issues is so critical. And it just allowed me to cope that much better with the day,” she says. “I kept a food journal and I noticed I was a lot more in tune with my body. I was incorporating that into a longterm lifestyle pattern rather than just temporarily trying to treat something and then going back to normal.” While the connection between food and mental health might seem like a fancy, new-age fad diet, it’s actually an idea rooted in centuries of science and philosophy. Going back to the ancient Greeks and supported by modern science that often goes as far as calling our stomach ‘the second brain,’ there are very real and provable connections between what we eat and our mental health. She explains her process is very education-based: “I want to make it so my clients don’t need me anymore.” She teaches clients how to read nutritional labels so they can see how much sugar is in each product, how it can be substituted or removed, and how to make the foods themselves so that they can drastically reduce the amount of sugar that they’re getting. While the process of supporting mental health with nutrition is based in a somewhat complicated physical science, there are some small, easy steps any person can take to get started in their own life. and encourage hardworking and deserving students graduating from high school in the and surrounding areas to further their education at a post-secondary institution. $1,000 scholarships will be awarded. ODAY, A CERTAIN BAD BOY of stand-up is one of a long line of celebrities finding a natural high without drugs and alcohol. “I was a devoted drug addict for a long while. I really, really committed to drug addiction,” said the rascally Russell Brand in a talk eight years after he gave up his addictions. Brand, the popular stand-up comedian and actor, has said publicly that his practice of a stress management technique called Transcendental Meditation (commonly called TM) helped him find a “deeper state of happiness.” TM came to the West in the 1950s from India and has millions of participants today. The simple mental technique is easy to learn and generally requires 15–20 minutes of practice twice a day. Brand explained, “I’m quite a neurotic thinker, quite an adrenalized person. But after meditation, I feel this beautiful serenity and selfless connection.” Feeling connected, it turns out, isn’t always easy for people working on rehabilitation and recovery. The longer substance use disorder continues, the more the distance between family and friends may widen, leaving the individual adrift and alone, and fuelling the possibility of anxiety and depression. For someone with an addiction, isolation from loved ones can also make it difficult to reach out for help and may precipitate a downward spiral and disconnect from society. Brand wasn’t just referring to people connections. He was also referring to a feeling of inner connectedness—a connection with his inner self and with the world around him gained from his TM practice. Psychologist Abraham Maslow called this connectedness “self-actualization”—realizing more of one’s inner potential. This experience, this connectedness, anchors a person and saves them from being caught up in the multifarious whirlwinds of addictions that can blow an individual off course and, in fact, sometimes completely sink them. A 1991 study published in the International Journal of the Addictions and a 1994 study published in Alcoholism Treatment found that TM reduced tobacco, alcohol, and illicit drug use more than either prevention programs (such as programs to counteract peer pressure and promote personal development) or standard substance use disorder treatments (including counselling, the 12-step programs, relaxation training, and pharmacological treatments). 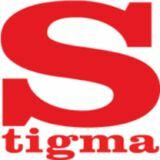 The studies showed that the effects of the more traditional programs on total abstinence from tobacco, alcohol, and illicit drugs typically decreased sharply after about three months, while the effects of TM lasted longer, ranging from about 51–89 per cent effective over an 18–22 month period. In another study, published in Alcoholism Treatment Quarterly in 1995, four treatment types were examined in 108 chronic alcohol use disorder patients: TM, EMG biofeedback, neurotherapy, and regular drug counselling alone. After 18 months, 65 per cent of those randomly assigned to the TM treatment were abstinent, versus 28 per cent of neurotherapy patients. And there are no side effects, only benefits. How bad is the substance misuse problem? According to the World Health Organization, 2.25 million premature deaths around the world annually are caused by alcohol misuse. 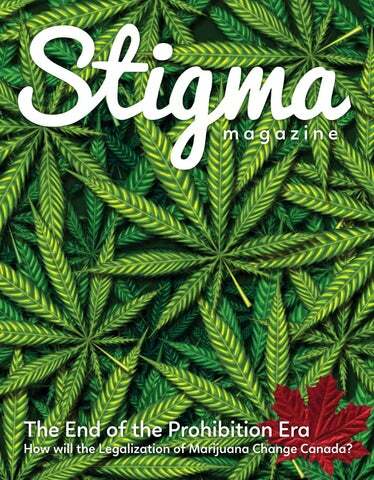 In Canada, 47,000 deaths every year are linked to substance use disorder. And local numbers are a cause for alarm: the total number of overdose deaths in British Columbia in the first four months of 2017 alone was 488. That’s an average of more than four overdose deaths every day. THE BRAND NEW RUSSELL BRAND Brand knows he could have been one of those statistics. “Every year’s a landmark for me,” Brand said. “Every December 13, I remember waking up in my flat having been up all night on crack and heroin, missing my train and then fare-dodging and being picked up by the founder of drug and alcohol charity Focus 12, giving me a cuddle and then going into treatment. I have become a better person through Transcendental Meditation, and I want to help bring this gift to others.” One non-governmental organization in Canada is also stepping up to help people in recovery through meditation. BeYouPromise.org has partnered with the Victoria Transcendental Meditation Centre to offer TM to people in recovery who have been nominated by their addictions counsellors. It’s a “brand” new possibility to add to the arsenal of recovery tools. To learn more about Transcendental Meditation, visit http://ca.tm.org/victoria. ARIJUANA LEGALIZATION IS COMING TO CANADA. year in prison for each subsequent offense. months in prison is the only punishment. somewhere in between and plagued by misinformation from both sides of the issue. through illegality and the application of harsh penalties. affect them, their families, and all citizens of our nation. on citizens that choose to use marijuana. ijuana before their brain finishes developing. earning opportunities resulting from criminal records. crimes in that same year. Of that 75,000, almost 59,000 were convicted for possession for personal use. tended to address use of marijuana by Canadian youth. lated, standardized and packaged once it becomes legal. may be, cease to be a concern. have not stopped smoking or driving while intoxicated. entirely, it has contributed to their decline. efits to testing marijuana and standardizing the dose. Style starts here. Join us to discover the new Palliser Custom Studio, where you can find your inspiration with an array of styles and over 100 leathers and 200 fabrics. Palliser is proudly made in North America and known for 73 years of quality and innovation. “ready” for recovery, and it’s a belief still openly supported by many people in our society, from the friends and family concerned with their loved one’s health (who have heard it repeated over and over again in the news and in pop culture), to health care workers, therapists, recovery advocates and experts at every level of society. For such a pervasive idea that has so many adherents, there is an increasing amount of evidence pointing to the idea that this mentality actually does far more harm than good. As our understanding of the mental health components that lead to substance abuse disorders change, the idea of rock bottom is rapidly becoming an unsustainable myth of recovery. In our inaugural Mental Health Mythology column, we break down a handful of the most damaging elements of the rock bottom myth and explain why they’re doing so much damage to our friends and loved ones living in active addiction or entering recovery. Myth 1: Someone has to hit rock bottom to be “ready” for sobriety. First on the list and possibly the most damaging of all myths attached to the rock bottom philosophy, the idea that someone has to hit rock bottom to become sober is actively damaging people’s long-term health and mental wellness. Drug and alcohol addiction progresses with time, like most diseases, and the longer it goes unchecked in an individual the more overall damage it’s going to do to their body and spirit. or even decades before they slipped. Everyone hits rock bottom eventually. The term rock bottom is defined as “the lowest possible level” and in the ally refers to the moment someone’s life completely fell apart and they realized real change was needed. People who have hit rock bottom are less likely to relapse. when they are ready to ask for it, and recognize that trying and failing is part of the process. Private Drug Rehab and Alcohol Treatment At Sunshine Coast Health Centre we are committed to our clients’ transformations and helping them become healthy men who are inspired to live with a renewed sense of vitality and purpose. recognizing your triggers and exploring new activities. come healthier in the process. may be heavy drinking, limit the amount of time you spend there. Less time means less temptation. can go a long way toward keeping you alcohol-free. know there will be drinking, you can choose not to attend. it is also the best time of the year to get active! If you keep yourself busy doing healthy activities, such hiking, swimming, team sports, or cycling, you will be less likely to be tempted. core, or visit the parks and historic sites around you. Try new foods and visit museums. If you have the means, try taking yourself to other cities to explore. The key here is to keep yourself busy with a little urban adventure. the perfect time to learn something new. Perhaps this year you can start a garden, or learn to paint, or even learn another language. might tempt you, consider arranging to meet at a local café or tea house. This way, you still get to be with your friends, and you still get to try delicious drinks. yourself successfully remaining sober. Think of what that will look like. Part of the battle in remaining sober is putting yourself in the right frame of mind for success. Think about how meditation, yoga or other activities that focus on the relationship between the mind and the body could have a positive impact on your ongoing recovery. The summer can be challenging for those who are choosing sobriety. With an abundance of social gatherings that allow drinking or even drug use, temptation is everywhere. By using some of the tricks above, you can keep yourself from straying off the path of sobriety. Have a plan and engage in healthy activities with supportive friends. ca.tm.org/web/victoria ® Transcendental Meditation and TM are trademarks licensed to Maharishi Vedic Education Development Corporation, a 501(c)3 non-profit educational organization. they are. We are just different people, and just like there are different people in the world, there are also different kinds of depression. In a lot of ways I am glad that I am a high-functioning depressed person because it allows me to go unnoticed for the most part, but on the other hand, this can also be extremely dangerous because at times when I am really struggling, no one really knows, unless I make a specific point of telling them. I wanted to be able to communicate all of this through my photographs; to show the days where my loved ones, the people I trust enough to share my struggles with, are worried and concerned for my wellbeing and safety, as well as the days when everything I do just seems like an unfortunate joke and all I can do is laugh it off and try again tomorrow. I exact uneasiness that I feel about myself upon the viewer. and want people to laugh at one image, question the next, h then gasp and feel that uncomfortable pit in their stomac at the next. I want it to be a rollercoaster of depressive emotions, I want people to be as confused as I am about how exactly they are feeling. There is still such a strong stigma surrounding depression; so many people live with it and there isnâ&#x20AC;&#x2122;t enough support and understanding, especially for those of us that are high-functioning and seem Okay on the sura face. Mental health is so important, and depression isnâ&#x20AC;&#x2122;t bad word. People need to be talking about it, so if I can get even just a handful of people to feel how I do on a day-to-day basis and spark that conversation, then I will consider this project a success. alcohol or narcotics. My vice is coffee. You scoff, I know. the fog. It’s especially a problem when your line of work requires you to appear smart as soon as you get to the office in the morning, and you can’t turn your brain on (without coffee) to save your life. Then, I remembered something: I used to be extremely fit. I’ve always had a fascination with the psychological effect that certain kinds of exercise can have on a person. wanted it. Why would this be? ten are the psychological ways regular yoga practice is beneficial. Here are some of the means through which yoga can help you deal with addiction or even just boost your overall sense of wellbeing. ly reduce cravings and negative patterns. giving you back your power over it. an increased sense of wellbeing. increase in your sense of self-worth. ing on in the present. feeling your substance of choice gave you. how big or small they are. stacles and correct negative habits. body, and spirit,” Khalsa says. ty to a pleasant once-in-a-blue-moon treat. here and now. When you remove all the clutter from your thoughts, you start to think more clearly and have a greater ability to focus your thoughts. Now, every morning, I start my day with a yogurt smoothie and a bounce in my step. yourself and what makes you tick. addiction recovery, please visit: https://www. of my comfort zone and I encourage you to do the same. Even though I donâ&#x20AC;&#x2122;t do them on a strict routine basis, I never knew that my favourite physical exercises would become snowshoeing and kickboxing. I truly love drudging up the mountain during the winter months and connecting numerous kicks to a rubber dummyâ&#x20AC;&#x2122;s head during my kickboxing circuit. I also consider that I am a nicer person to the world when I embark on these physical activities, as they allow a perfect outlet for my anger and ease anything that may be irritating me. I highly recommend testing a great variety of physical activities and finding something that you actually enjoy because we only truly become committed to things that we authentically care about. I have to be honest that I do not feel at peace about my physical and mental health all the time, but it brings me immense joy to know that I am currently bursting with life and I am truly happy today. I try my best to stay fit and take part in extracurricular activities, but nothing is a constant. I have learned that I do my best with who I am and what I have to work with. I now take the guilt and shame out of not achieving perfection and remind myself that every breakdown I endure is another opportunity for a breakthrough.